How do you turn the BMW M2 into an even more aggressive and agile little track monster? The best way and likely the only way to achieve that is to add some aftermarket parts to it. 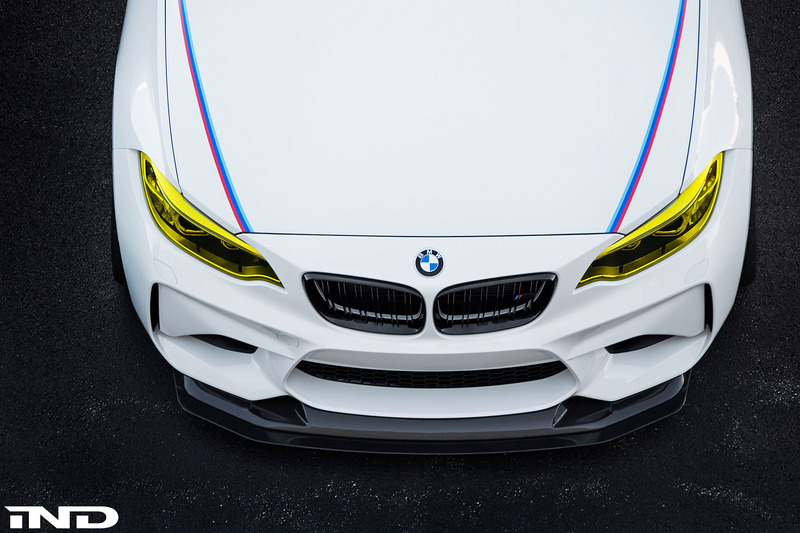 This Alpine White BMW M2 started its life as standard model powered by a 3.0-liter straight-six engine with BMW TwinPower Turbo technology capable of delivering 370 horsepower. While that’s good to sprint to 62mph (0-100km/h) in just 4.3 seconds – if optioned with the fast 7-speed M Dual Clutch Transmission – the M2 is a vehicle that welcomes additional performance parts. This Alpine White BMW M2 belongs to IND Distribution. And when you know the guys behind this build, you know it’s gonna be something really special. 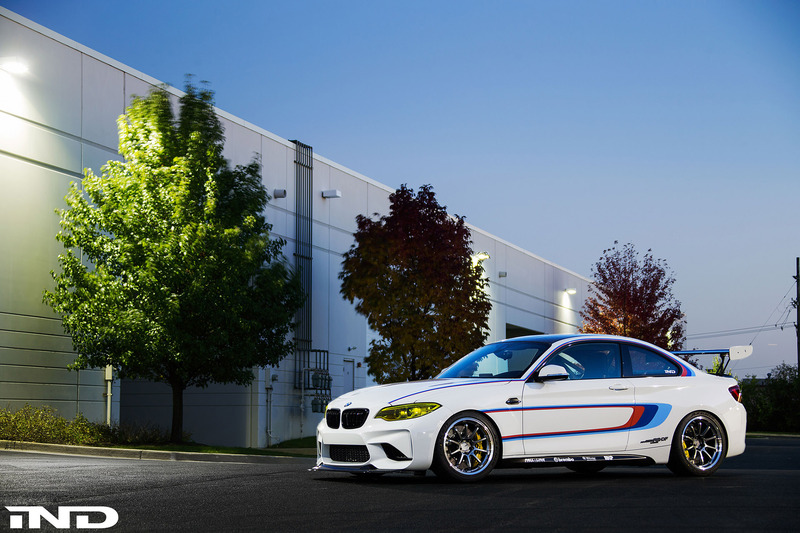 The M2 features a wide range of aftermarket aero parts, giving it a more refined, track day oriented persona and appeal. 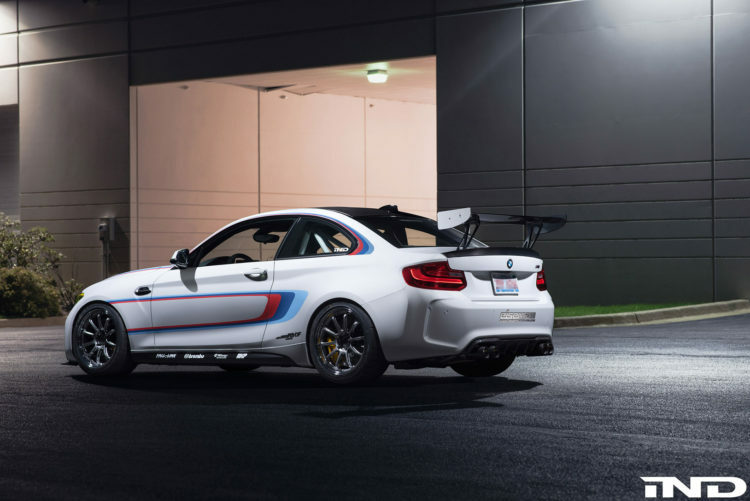 For example, the front lip spoiler, side skirts, a rear diffuser and a race inspired rear wing are ensuring this M2 is ready to conquer any track in the world. Furthermore, the tuning company added a set of aftermarket wheels and a set of Brembo GT brakes as well, complementing the overall project and its racing stripes. The addition of yellow tinted lights – made famous by LeMans race cars – is a perfect finishing touch. You’ll also notice the ///M inspired pin striping and the company decals on the sides. The tuning company was kind enough to share us the completed and detailed photoshoot of this build. You can check all the changes done to this BMW M2 in the media gallery below.